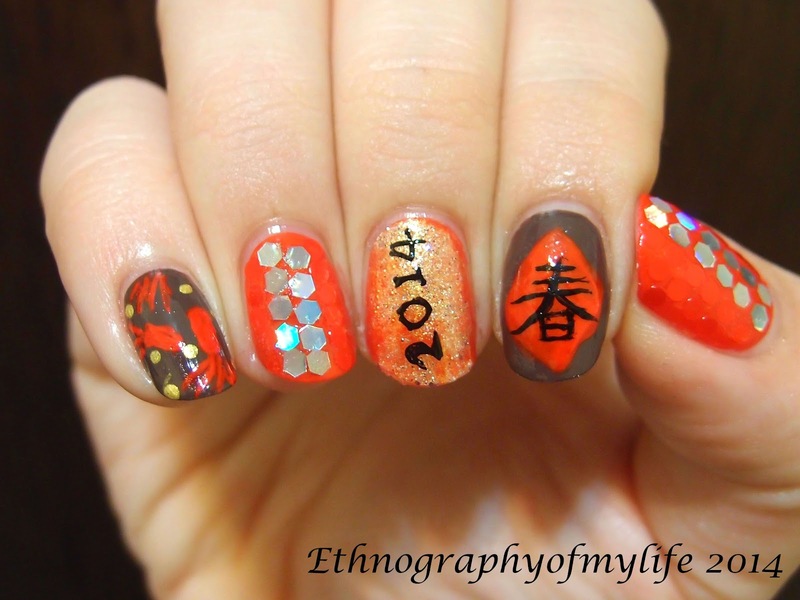 After a week of relaxing vacation, I finally got time to upload my Chinese New Year manicure! I was going to do something funkier than this one, but considering I am in Taiwan that my extend family may jump if I do something crazy, I decided to go for a traditional theme. I use E-Nail Little Cherry for the reds, Mocha for dark brown and color paints for the rest. The index finger is a Chinese world means 'spring'. I really need a bottle red soon, it's dangerously low now. I didn't realize how important red is for doing manicures lol. 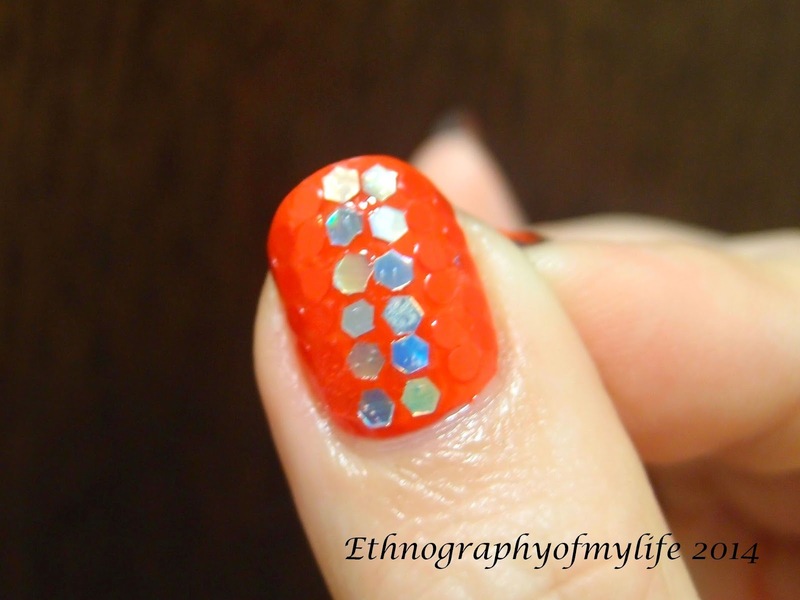 I use the new sequins that I got in a nail shop. They are very cheap so I got a whole set and I post before on the FB. The red ones are not as sparkling as I thought they will be through. I should use the rhinestones to replace them for a more shining effect. 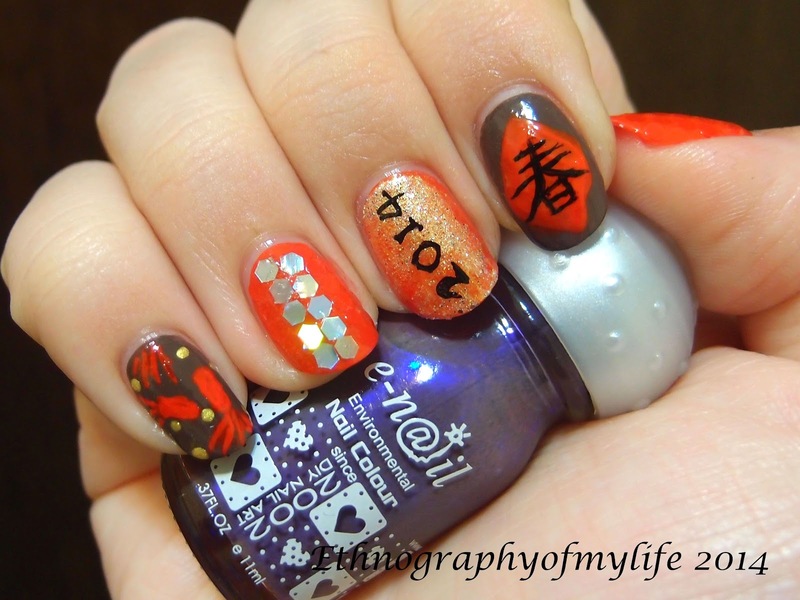 I really want gold sequins for this mani, but it was so popular and sold out everywhere I could think of during Chinese New Year. It's okay then.